Superdry women’s Kristle cold shoulder mesh top. 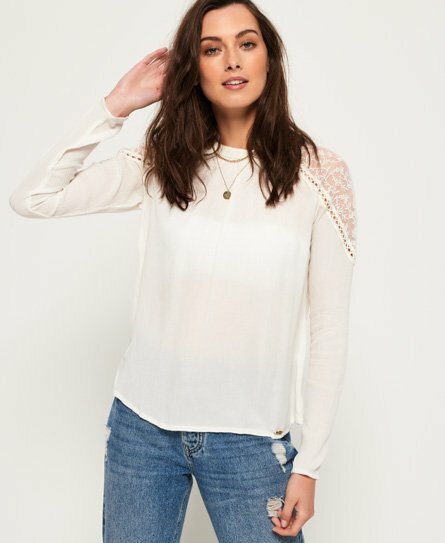 This delicate top features lace detailing down the shoulders and a key hole back with button fastening. The Kristle cold shoulder mesh top also features long sleeves with elasticated cuffs and is finished with a Superdry logo badge above the hem.